Comfortable and stylish as both a sofa and bed, the Tyler Sofa Bed has been designed to perfectly blend into modern and contemporary homes. The beautiful charcoal, buttoned upholstery offers an extensive level of cosiness for those simply lounging or guests looking for a good night’s sleep. Easily able to fold out into a bed, the Tyler Sofa Bed can seamlessly change from sofa to bed without much effort. Thanks to this accessibility, the Tyler Sofa Bed works wonderfully in essentially any room, from a home office to a living room. Crafted using high quality wood, the Tyler Sofa Bed features solid legs that further enrich its modern feel. 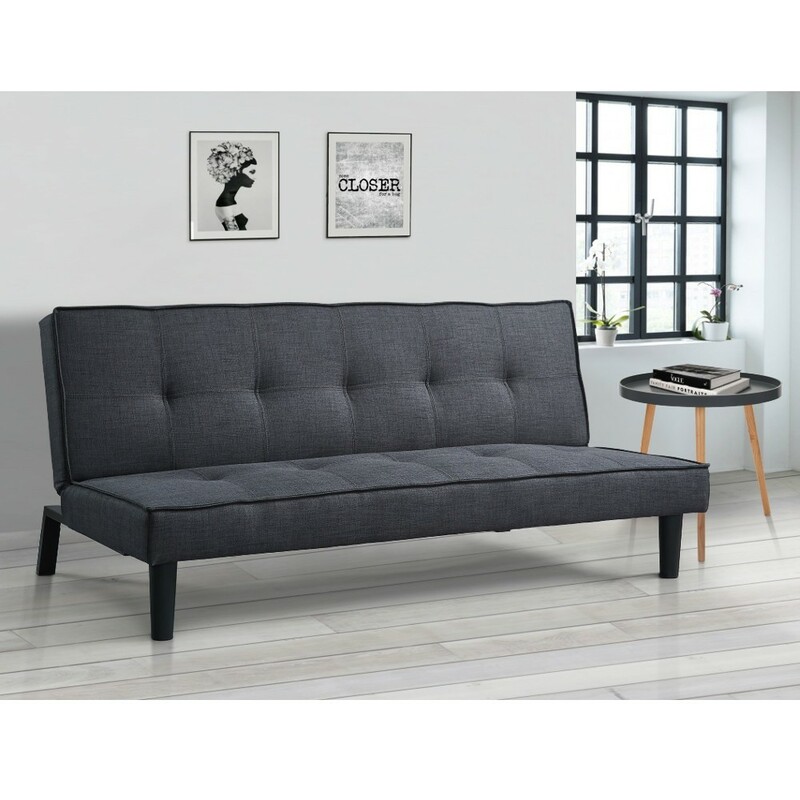 Incredibly convenient, the Tyler Sofa Bed arrives mostly assembled with only the legs requiring attachment, allowing it to be placed in the home immediately. To make things that little bit easier, you can find comprehensive instructions for your chosen product within this section. In case you need any more help or assistance, please don't hesitate to get in touch.